Sciblogs | What effect could climate change have on human aggression? What effect could climate change have on human aggression? In this Psychology Report, I talk with Dr Matt Williams from the School of Psychology at Massey University in New Zealand about the possible link between climate change and violence levels, based on this paper. You can listen to the original podcast here, as well as reading our conversation below. SJ: Matt, thanks for being on the show. Maybe we can talk a little bit about the the back story for for your paper – why did you do this research in the first place? Matt Williams: So back in 2010 I was kind of looking around for a research project to do for my doctorate in clinical psychology degree. At the time, An Inconvenient Truth – a film by Al Gore – had come out a few years before. Climate change was also very kind of heavily in the media due to the the email scandal at the University of East Anglia where a bunch of emails amongst climate scientists had been hacked and released to the general public. So that year, lots of arguments, lots of contention about climate change in the popular media and I became really really fascinated with that. As it happened, I managed to find a supervisor at Massey – Stephen Hill – who shared my observation with climate change and we kind of put our heads together trying to figure out how it might be possible for me to do some research related to climate change within a restriction I had, which was that because I was doing a clinical psychology doctorate I need to do something that was clinically relevant in some way to get to clinical psychology. So, I ended up finding out that there was a body of research in psychology showing that there seemed to be some kind of correlation between temperature and various types of violence – so they could be things like assaults and homicides but also violence against the self, so things like self-harm incidents and suicide also seem to be correlated with temperature, and I thought to myself, I wondered if it might be possible to try and work out how climate change might affect these variables – how it might affect human violence. So that was how we came to kind of look at this project here in the journal article you’re looking at which is I’m looking at the effects of temperature on assault rates with New Zealand. SJ: So the general premise here is that as climate change seems to indicate that we will have rising global temperatures you’re wondering whether that’s going to have an influence on behavior, particularly around assault to others and to the self. MW: That’s absolutely right, yeah. So, trying to see if we can extrapolate from that correlation that we see between temperature and violence on short time scales and try to actually predict what does that imply about a world in which temperatures are gonna be rising by maybe two or three degrees celsius. SJ: So, you’ve got this kind of short-term seasonal change – so you have a hot week in summer and and there’s a correlation that seems to exist there with that kind of behavior [violence], so what does this look like when essentially you are you moving the bar upwards and seeing what happens then. MW: Exactly. So, I think the real problem for this research area is trying to make inferences about how humans will react to really sustained increases in temperature. It’s quite easy for us to look at the correlation on short time scales and luckily enough when we look at things like random temperature variation from day-to-day you have something almost like a natural experiment, where because temperature varies randomly if we see that it correlates on a day-to-day basis with acts of violence ,we can make a reasonably confident conclusion that the temperature is actually having a causal effect. But what that implies about how things will change in a world we have this really sustained long-term increase in temperature is a little bit more tricky to work out. It’s kind of exacerbated by the fact that over the course of recent human history we just haven’t seen sustained and dramatic increases in temperature. For something like the last sort of 8,000 years we’ve been in a period – the Holocene epoch – where temperatures have been remarkably stable, so basically all of really significant human development in terms of things like the development of written language, development of cities, of agriculture, has all occurred in a period of time where temperatures have been reasonably stable worldwide. So we just don’t have that much data to show how humans react to really massive sustained increases in temperature and that’s what my research is all about trying to work out. SJ: So how did you go about tackling that problem then, looking at what might happen when you do have this sustained temperature increase – perhaps happen gradually, perhaps not happening quite so gradually depending upon which model ends up coming to fruition – how did you go about doing this research? MW: Well, what I ended up doing was looking at the relationship between temperature and violence across a few different time scales. So we looked at how days that were hotter than average for a particular geographical area and a particular time of year, how those related to rates of violence. 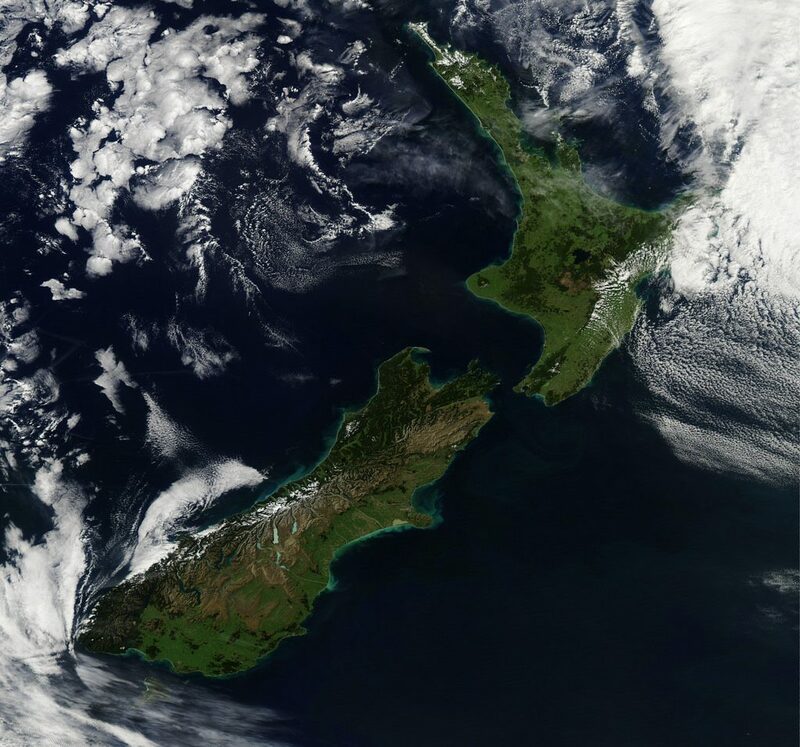 But then we also looked at how different periods of the year – so seasons that were warmer or colder related to rates of violence – and we also compared different geographical areas to see whether areas that were warmer than average for New Zealand tend to be associated with higher assault rates – which they were to some degree. And in that seems to be true on a few different data sources that allows to not just infer that there is a correlation between temperature and violence but also try to work out whether the really sustained exposure to warmer temperatures seem to be associated with higher risk of violence. Certainly, when we compete different geographical areas, that’s the analysis where we really can see the relationship between sustained exposure to warmer temperatures and rates of violence. So, that was an important part of the study but it doesn’t work all on its own because when we compare different geographical areas that are obviously different in many different ways aside from just being warmer or colder than one another – so that analysis is somewhat vulnerable to confounding you might say. But when we see a consistent picture across these different data sources showing a positive relationship between temperature and violence, it starts to give us some confidence that there is a causal effect of temperature on violence and that a sustained exposure to high temperatures is at least somewhat probable to result in higher rates of violence. SJ: That sounds interesting maybe and we can come back to what those other explanations might be. Which geographies were you looking at and comparing when you were looking at those different temperature ranges to have a look at that sustained increased temperature – where are you comparing against where? MW: So, all my research was using NZ data, but in terms of the geographical units of analysis we were looking at, it was districts – territorial local authorities of which there are, from memory, 70-something in New Zealand. SJ: So you are comparing different units of area within the same kind of geographical region- so in terms of the general latitude and longitude that these people were living in, it was within a particular catchment area, Is that right? MW: Yeah, so each of these districts or territorial local authorities are reasonably restricted in geographical area so we have some particularly large ones like Auckland, but for the most part they’re reasonably homogeneous in terms of the climate within a particular district. But across districts obviously the climates are quite different. We have the things like the Queenstown Lakes area in the middle of the South Island which is very, very cold in comparison to the Far North which is very warm and gives us some kind of basis to to look at that relationship between temperature and violence across different districts. SJ: OK, so you’ve got a nice bit of variation there. What did you find? MW: What we ended up finding is certainly days that are hotter than average for a particular geographical location in a particular time of year were associated with a higher risk of assaults. We are looking at about 1.5 per cent more assaults for each degree of warming. We also found that across the seasons of the year or the months of the year, warmer time periods were associated with higher assault rates – so assault rates tended to peak in about December. We also found that warmer geographical regions tended to be associated with higher assault rates, though that particular correlation was really subject to a lot more uncertainty and whether that effect turned out to be statistically significant or not depended on which demographic variables we controlled for. Really, in some ways when we’re looking at the relationship between temperature and violence across geographical areas, some of the other research that’s been done internationally comparing and looking at the relationship across a wider range of geographical areas with even wider temperature variations is perhaps a slightly stronger datasource. So, for my research is, and you know a lot of research in psychology and other areas of science, one research project alone doesn’t provide a complete picture – we kind of have to look at it in conjunction with other research studies from from other research units. SJ: That sounds like a significant but small – 1.5 per cent, per degree – but significant relationship that you found there. How much of this do you think can be explained by density of population? In that perhaps it’s that people like living in warmer climates and are willing to put up with living closer to other people which then means that they’re in each other’s way a little bit more than perhaps they would be in a cooler climate. MW: Funnily enough, that was something that one of our peer-reviewers suggested as well. We ended up checking the effects of population density in a supplementary analysis and it ended up not really explaining the relationship between the two. I think in general, really the idea of trying to work out what what the mechanism is of this relationship between temperature and violence is the really tricky one. We can describe the relationship pretty well, we can even infer it’s probably representing some kind of causal effect. But working out how that causal effect actually takes place is the really difficult bit and the part that my research itself didn’t directly address. SJ: That sounds interesting, Matt, and I guess that’s where i’m going with with this in that you’ve described that there is a relationship and it does look like it perhaps is causal in terms of time – so this happens before something else happens, and the temperature rise seems to lead to behaviour change later on in terms of increase of assault rates. But, who should care about this research? Who should be paying attention? MW: I think that’s an interesting question. I wouldn’t necessarily say that every member of the public needs to go and wade into my journal article and read about the complicated kind of generalised linear mixed models and look at all the details of my data analysis and so on, but I think for the average person on the street – we all need to really be aware of climate change. In particular I think about how it’s going to be affecting our lives in a range of different ways. So I think there can sometimes be a bit of a conception that people only need to worry about climate change if they’re concerned about things like a fix on polar bears and coral reefs and the wildlife around us, but that isn’t necessarily going to affect our own every day to day lives. But that’s not the case – I mean climate change is going to affect economic production worldwide, it’s going to affect, most likely, rates of conflict between people and what’s particularly worrying to me is that my own research falls into this wider body of research looking at the relationship between conflict and temperature more generally and there seems to be stronger and stronger evidence that not only are incidences of violence between people affected by temperature but so too are incidences of violence between nations and between groups. So, historically warmer time periods have been associated with higher rates of civil conflict and higher rates of wars, and even though obviously temperature and climate or not the most important drivers of the risk of horrible things like wars, even the smallest kind of increase in risk that climate change might exert could be really, really problematic for us. I mean, we are talking about a world right now that suddenly starts to feel like a little bit of a tinder box where you’ve got Donald Trump talking about pulling out of NATO, you’ve got Great Britain potentially exiting from the European Union. 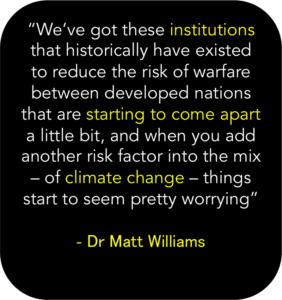 We’ve got these institutions that historically have existed to reduce the risk of warfare between developed nations that are starting to come apart a little bit, and when you add another risk factor into the mix – of climate change – things started to seem pretty worrying. I think we we all need to be aware that climate change is going to represent a pretty dramatic shift to the world around us – not just in terms of wildlife and pretty pieces of natural beauty but in terms of our real everyday lives and the things that are most worrying to us, like being able to to produce food, being able to have access to fresh water, and being able to live in a world that it isn’t full of conflict. SJ: That’s really interesting, Matt. So you’re saying that as well as thinking about how climate change perhaps affects things like access to resources and availability of things like water, it’s actually perhaps not just affecting interactions between individuals but has the potential to lead to more likelihood of intergroup conflict and could act as part of that tipping point of when perhaps negotiations don’t go so well because we have this background effect of temperature rising which has this effect on behavior and how people process information and deal with each other. MW: Yes, that’s absolutely right. So increasing temperatures worldwide could act as a risk factor for group conflict in a few different ways. It could be the case that generally we we know that in warmer temperatures people feel a little bit more aggressive so that could be part of the background problem. But also in terms of things like are provoking conflict over freshwater resources; in terms of things like forced migrations where we know that these particular parts of the world that are going to be especially vulnerable to sea level rise; parts of the Pacific Islands, Bangladesh and so on, where people may need to move in in large numbers. Forced migrations tend to provoke conflict and we see that in Europe at the moment and especially they could be problematic in the case where we have a world at the moment where we’ve got a bit of a growing rise of nationalism, of countries being a little bit more hesitant to accept migrants and refugees than they were in the past. So that could be a really problematic risk factor. So again, rising temperatures alone don’t start wars but if they are a risk factor that increase the probability that a particular conflict could break out, that’s a real problem. MW: For me I think moving to the future, I’d really like to get involved in research that looks at how we can actually mitigate climate change – so trying to work out what needs to happen to help us as a global society to do something about climate change. It’s not the case that we’re going to be able to stop it completely or just keep temperatures exactly where they are at the moment but we still have the capability to actually take action to reduce the damage that’s caused by climate change. I think psychologists have a really key part to play in that. At the end of the day though, you know, we identified climate change with climate scientists and physicists and meteorologists and so on – it’s a problem that’s caused by human behaviour and we as psychologists are meant to be the ones that have expertise in changing human behaviour. So looking at how we can increase support for real action on climate change and how we can perhaps gently nudge people towards taking action in their day-to-day lives to reduce the carbon footprint is something I’m quite interested in in the future. SJ: So that kind of behavioural economics approach, where you’re trying to encourage people to take decisions that are not only beneficial for them but also the societies that we live in and the environment in which we exist – that context – it seems to be a natural step then to thinking about the utility of building that case. MW: Yes, absolutely. So, gently nudging people towards finding ways where they can make it difference in their everyday lives is certainly part of the picture. I mean it’s difficult – we all seem to some degree to be selfish and to make decisions that suit our own kind of economic imperatives, but we also have the capability to do things that benefit others and that are altruistic. But of course the individual behavior change aspect can only be part of the solution. At the end of the day, to make a real big difference in terms of climate change, political action needs to be a huge part of that. There’s no getting around that, and things like the Paris climate agreement are a really positive step towards that. But maybe, I guess, the real worry is will nations pull through on what they’ve agreed to and actually start applying carbon taxes and taking real action on climate change. And I think for us as individuals, one of the biggest things that we can do to try and take positive action on climate change is to indicate our support for taking action on climate change to political parties, to whoever, whichever, political party or person happens to be associated with, to communicate with their local Member of Parliament that they do want to see us take action on climate change to make a real difference – that it is something really important for us and for future generations. 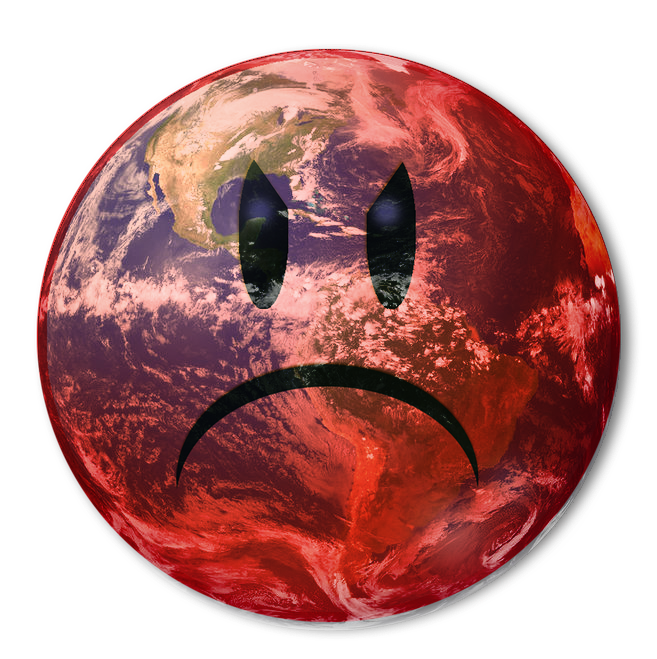 The post What effect could climate change have on human aggression? appeared first on Sarb Johal.